I’m not going to write about the mechanism by which we ingest food. I want to spend a little bit of time writing about the earth opening up and swallowing us mere mortals. I feel so bad for the family that lost their son and brother down a sinkhole in Florida. Sinkholes are one of the biggest fears my home town of McAlester Oklahoma has due to all of the mining that went on during the late 1800’s and early 1900’s. The majority of the area has mine shafts running underneath. If one has occurred, I am not aware of it at this point in time. I remember as a child seeing pictures of a house in Alaska in which the ground opened up and the entire house went down into a very big hole. You could at least see the roof. That was due to an earthquake. I think it was the late 1950,s when it happened. Growing up in California I was not surprised when the side of the road fell off due to the ground giving way because of so much rain. The Bible even tells us in Numbers 16:32 KJV: “And the earth opened her mouth, and swallowed them up, and their houses, and all the men that [appertained] unto Korah, and all [their] goods.” From that verse it sounds like the earth was opening up and swallowing people and things back then. Science tells us that sinkholes are very common when the foundation underneath the dirt is limestone and it washes away over time. That’s a very non scientific interpretation of an action that can take thousands of years. 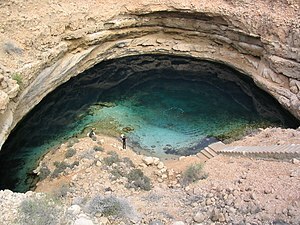 Some sinkholes are caused by nature, but many more are caused by man’s activity. Concentration of water flow – storm water drains, swales, etc. So as with most of our other problems we are contributing to them in a major way. Is there anything we can do to help ourselves? The obvious would be not to build houses over limestone, and stop doing everything I’ve listed above. Somehow I just don’t see that happening. I think most of us will stay oblivious to what is going on underground. I know I don’t think about the ground dropping out from underneath me, do you?